The province of Aurora might have boost its popularity from Baler but did you know that this province also has various spots and activities that I found worth visiting and doing? With a total of 8 municipalities (to-date), the province is truly blessed with plenty of tourist attractions like historical sites and nature attractions like beaches and waterfalls. 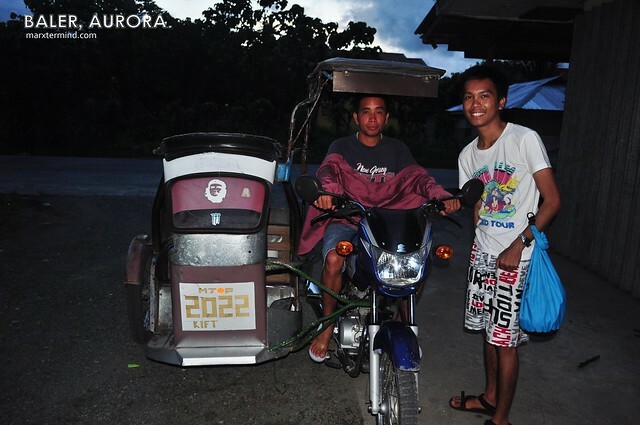 Aurora is a place wherein it doesn’t need to construct commercialized-activities to lure in tourists. 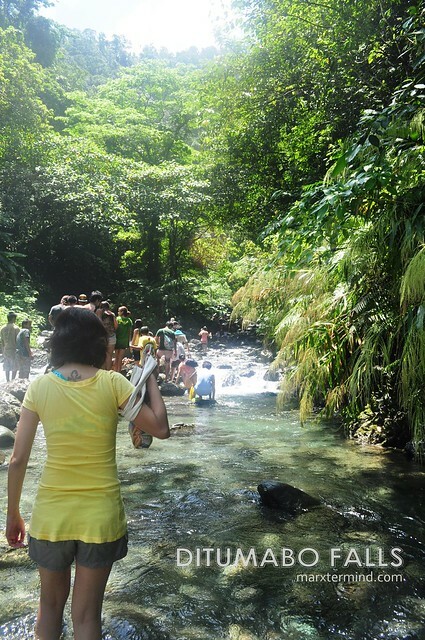 Anyone can enjoy nature at its best by going surfing, trekking in the forest and swimming in their many waterfalls. In our 2nd day in Baler, my friend and I went to some famous sites and attractions in Baler and nearby municipalities. Our home stay owners helped us to get a tricycle to tour us around. I told the driver the places that I wanted to go and needed to be squeezed in for the whole day. So when he agreed to my itinerary, we subsequently started the tour. 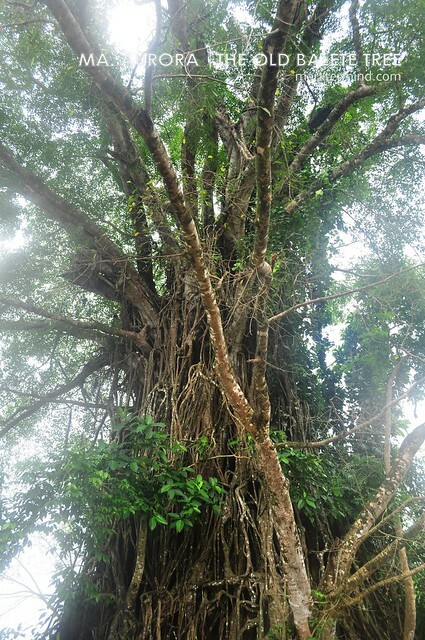 Standing 600 years now is the old century Balete tree located in Balete Park at Maria Aurora, Aurora. 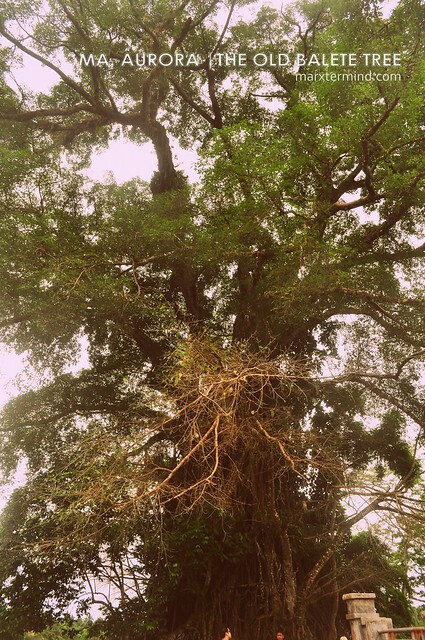 The tree is also known as the “Millennium tree” of the country because of its age. It is said to be the largest of its kind in Asia. Moreover, because of its gigantic structure it would take 60 men to encircle its huge trunk. After 30 minutes of travelling from the town proper of Baler, we were able to reach the Balete Park. Having the first glimpse of the famous tree I was fascinated by how it looks, really gigantic. 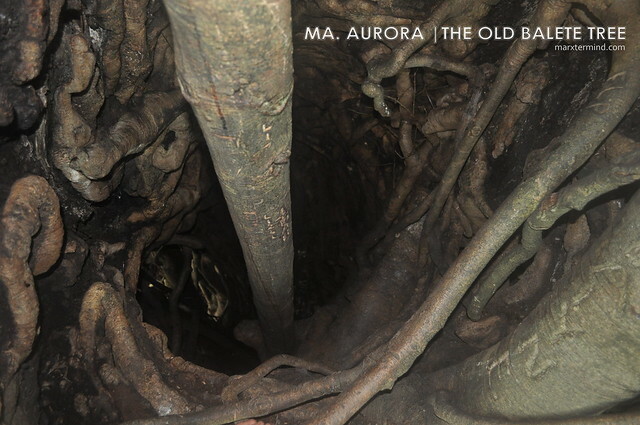 Some says that Balete tree is home to some mythical creatures making its structure more eerie. There’s no entrance fee but you might want to donate small amount for it’s maintenance. We were greeted by kids and some policemen as we entered the park. We were told to climb the tree. With no hesitations at all, we eagerly said yes and so the kids accompanied us inside. It feels like I was hypnotized with my answer as I responded hastily. Well, I actually missed climbing a tree. If I was fascinated by how the tree looks like outside, the inside is so incredible. It feels like it could actually fit 15 more persons inside, it was so huge. I just hope there’s no mythical creatures living there like kapre and dwarves. It could be terrifying. With low lights inside the tree, I wasn’t able to take a good shot of it. I climbed the tree following my young guides while my companion gave up because fear got the best of her. I almost gave up climbing it as I was already getting shaky whenever I looked down. I constantly asked my young guides as I climbed the tree if it’s really safe climbing it. Expectedly they told me that the branches are strong enough to hold a person. I felt fulfilled when I made it to the top. The feeling was so relaxing. It feels like a sanctuary wherein there’s peace and serenity. A reward after the endeavour and courage of climbing it which brought me to thinking of my younger days wherein I still live in our province and I often times climbed the mango tree and get some mango fruit to eat. I wish we could have a yard and a tree on it so I can climb up anytime or better yet have a tree house wherein I can have a place to chill. After a few minutes, we’ve decided to get down. It might be cliche as it may sound but the move down was way easier than climbing it up. I was able to move down in less than 5 minutes. There’s no specified fee for the guides but a tip is prerequisite. 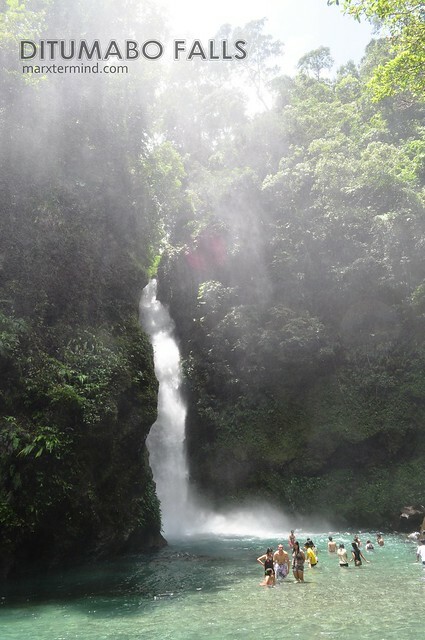 We left the park and moved on to our next destination, the Ditumabo Falls. The waterfalls which also known as the “Mother Falls” is one of the key attractions in Aurora province. 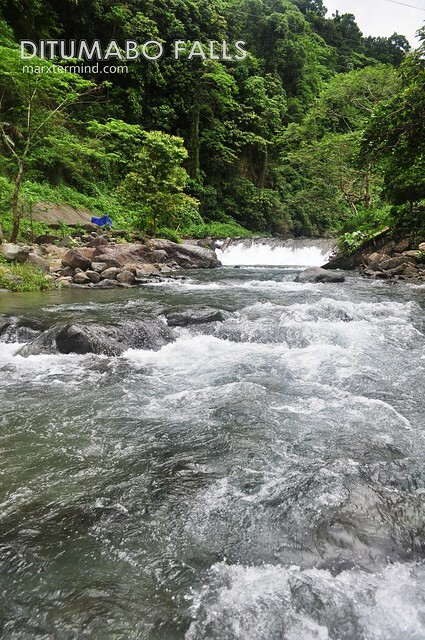 Located in Barangay Ditumabo, San Luis, one must trek the 4 kilometres of rough terrain and river trails from the starting point to get to the Mother Falls. Being one of the site of the hydroelectric project in Aurora, the waterfalls is still one of the site to see and worth visiting. 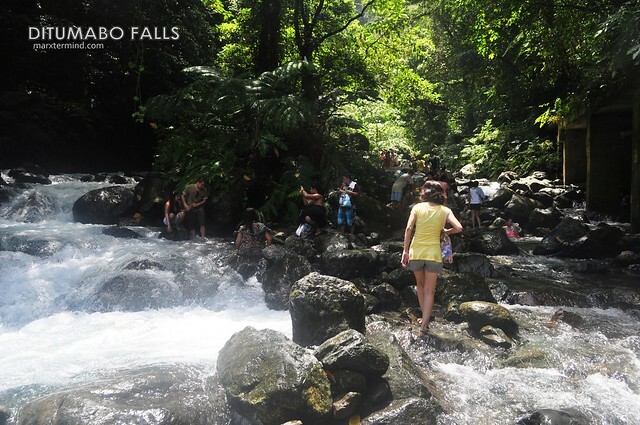 For about 45 minutes from the Balete Park we were able to reach San Luis, the entry point to the waterfalls. As soon as we alighted from the tricycle we started to trek the rough terrain. There’s no entrance fee to get to the waterfalls but a little donation for its maintenance will do. Bringing of food isn’t allowed as improper disposal of waste might ruin the nature. At first I thought the muddy pathway was already the hardest part of this trek but as we moved on the river trails made this trek harder. And there’s even more river crossing. It was a tough trek after all. I was so cautious not to slip on. 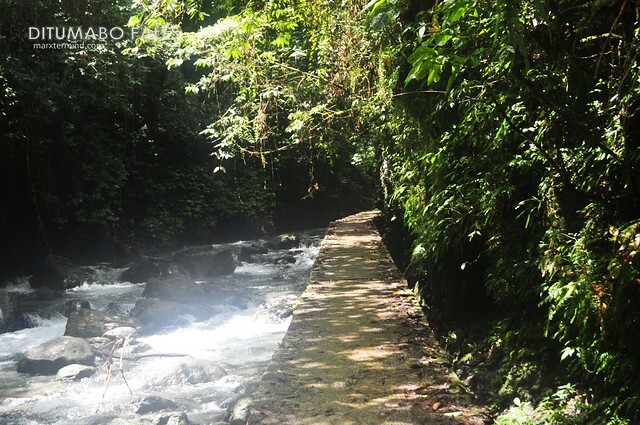 As soon as I saw this cemented walkway, I knew we’re already getting nearer to the waterfalls. This pathway reminds me of “Temple Run” as what my friends who’ve been here before mentioned on their blogs. And at the end of this path, the magnificent waterfalls delighted our sight. There were too many tourists that time. With that I felt hesitant dipping into the waterfalls. But few minutes passed, I walked towards the water and dipped into it. I was already here why not do it anyways, right? The water was so cold. It was like I was in a fridge or I must say colder than that. I can’t get near the falls itself as the water flowing down was so strong. Few minutes passed, I’ve decided to move out from the waterfalls. We left the waterfalls and went back to our origin in San Luis. This time the trek back was tougher as the water level of the river has already risen. Also, me and my friend was just all alone as we crossed those rivers. 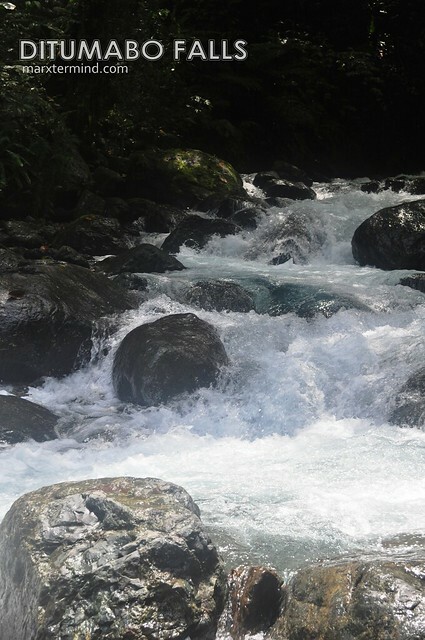 The river current was stronger compared earlier. In about 45 minutes we reached the drop off area safely. So not to waste our time, we immediately moved on back to the town proper of Baler for the next part of the tour. The whole day tricycle tour costs PHP 800.00 which consist of the places listed below. The tricycle could fit 3 persons. Contact Kuya Bernard at 09089802956 if you wish to tour around Baler and nearby municipalities. 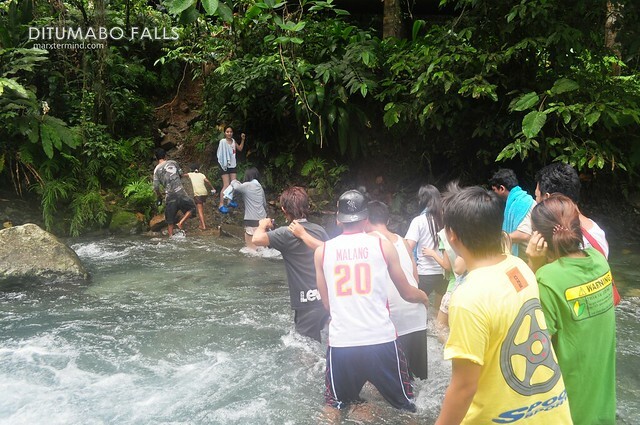 Hehe, agree, punuin natin ng maraming tao ang falls para mabawasan ang lamig… Hehe! nice photos po marxtermind! You have a point there, never been to a falls na maligamgam ang tubig. Siguro pag madaming tao and bata magiging warm ang tubig. Lol! 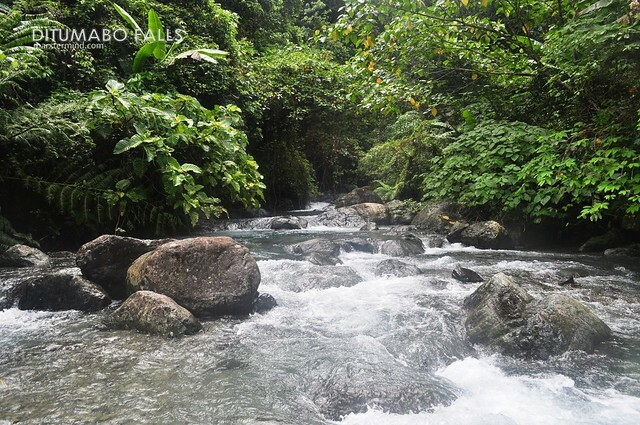 Lahat ng falls na napuntahan ko ay freezing cold! Grabe.. might as well try this someday. Meron bang warm na waterfalls? hehe. 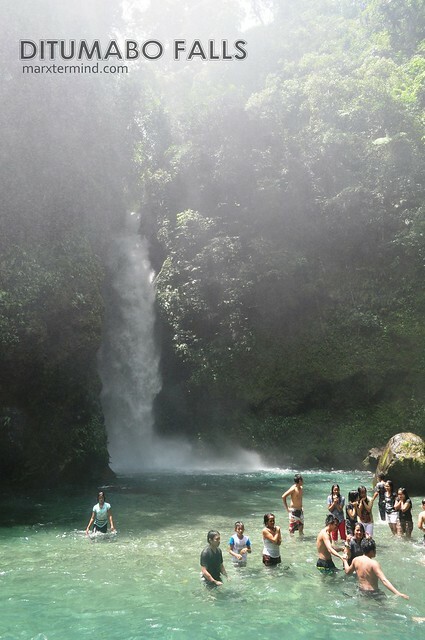 Nahiya nga ako sa dami ng tao sa Daranak Falls. Hahaha. Walang sinabi ang mga taong yan sa Daranak. hahaha! Gustong gusto ko ng pumunta sa Baler. Ok lang yung mga river crossing. Mas feel ko yun kesa sa hiking. 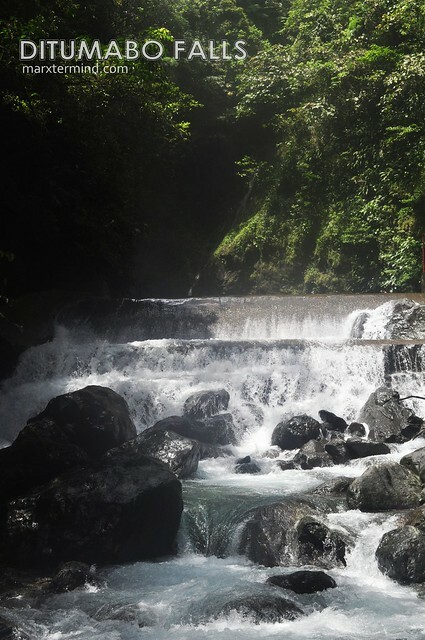 Ang ganda nung waterfalls at ang linaw ng tubig.